We are one of the well-known manufacturers, exporters and suppliers of Promotional Mini AFL Football. The offered promotional mini afl football is very suitable and useful for the promotional activities and training purposes. Our supplied promotional mini afl football is a multi-layer construct which is soft and durable. 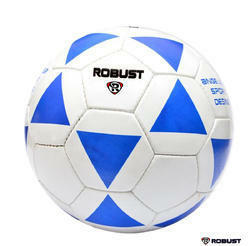 We offer good quality Promotional Soccer Ball that are widely used in the game of soccer. 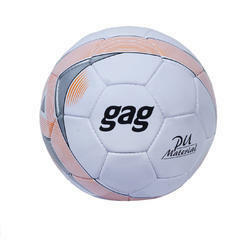 Our range of promotional soccer balls are available in different prints, graphics, color finishes. These can also be customized with logo as per the promotional requirements of the clients. Further, our range is offered at market leading prices. We are engaged in Manufacturer and Exporter optimum quality PVC Foaming ALF Ball. We are known as the reputed organization in this field of operation, engaged in offering a wide array of excellent quality Promotional Ball. - Weight: 350 - 370gms. Recommendation: Ideal For Academies & JPVC Soccer Ball, junior Club. We are a manufacturer of PVC Football. These can be availed from us at very affordable prices. Construction: PVC (Three Times Coating) Glossy Finish 1.40 mm, Three Poly cotton Layers, Latex Bladder, Hand Sewn with Polyester Thread. We are a remarkable entity, engaged in offering a qualitative array of Promotional Football. We provide promotional soccer balls and other sports promotional merchandise soccer balls equipment premier services for promotion to soccer balls.